Creature Feature is the class for children who like to experiment with multiple media, such as paint, plaster, gauze and air-drying clay! Students incorporate both 2D and 3D techniques, utilizing a variety of provided materials along with found objects to create one-of-a-kind works of art. 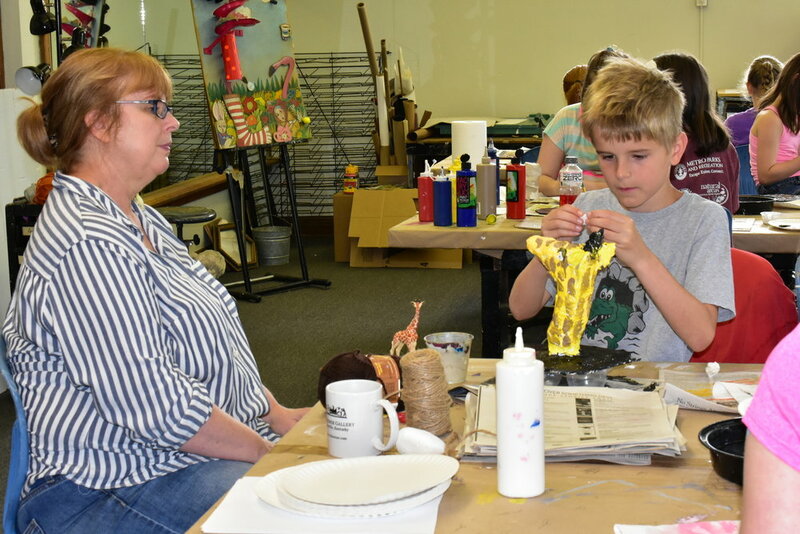 Students draw, paint and sculpt to create a whimsical animal bust to hang on their wall! Creature Feature finished up last week with roars, screeches and meows as campers painted and sculpted their favorite real and made-up critters. Beware the frogtopus!